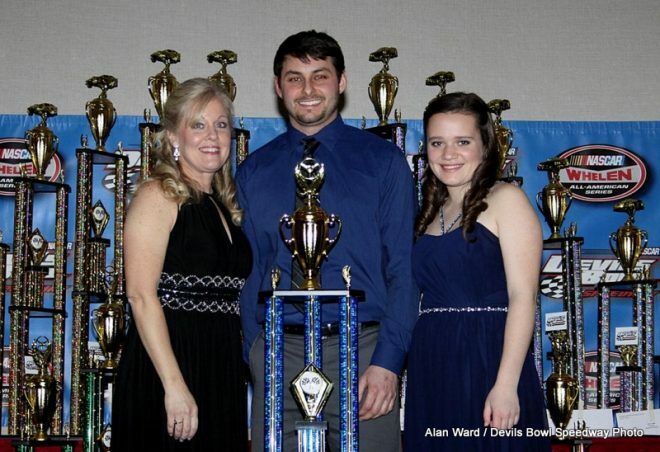 Top Drivers Honored at Two-Night Devil’s Bowl Speedway Banquet of Champions :Racers Guide – The Web's #1 Racers' Online Directory! RUTLAND, Vt. – February 7, 2017- Devil’s Bowl Speedway officially draw the curtain on its 50th racing season during a two-night Banquet of Champions gala on February 3-4. Ceremonies were held in the Grand Ballroom at the Holiday Inn Rutland-Killington in Rutland, Vt., honoring nine stock car racing champions, top drivers, and special award winners at two tracks at the West Haven, Vt., facility; well over 400 guests attended the weekend gatherings. 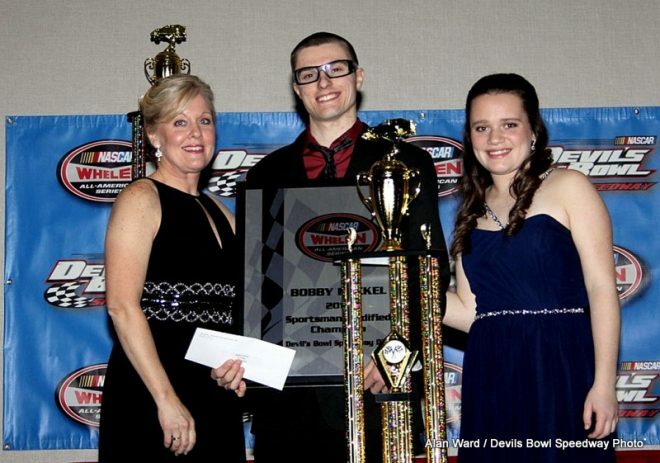 Awards for the 3/10-mile Dirt Track at Devil’s Bowl Speedway were presented on Friday, February 3, when Bobby Hackel of Rensselaer, N.Y., was crowned as the youngest lead-division champion in Devil’s Bowl Speedway’s 50-season history. 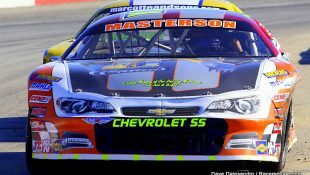 The 22 year-old, fourth-generation racer won the Central Vermont Motorcycles Sportsman Modified title in the first season of NASCAR Whelen All-American Series-sanctioned racing at the Dirt Track. Tim LaDuc took runner-up honors with Kenny Tremont Jr. third. Chris Donnelly of Piermont, N.H., collected the first championship ever awarded for a winged Sprint Car division at Devil’s Bowl. Bill Duprey of Hydeville, Vt., was recognized as a four-time champion in the Rosen & Berger Auto Recyclers Renegade division, and Mike Ryan of Chelsea, Vt., took his first Portland Glass Mini Stock title. Rookie of the Year honors went to Justin Severance (Sportsman Modified), Hackel (Sprint Car), Josh Bussino (Renegade), and Cameron Kennedy (Mini Stock). 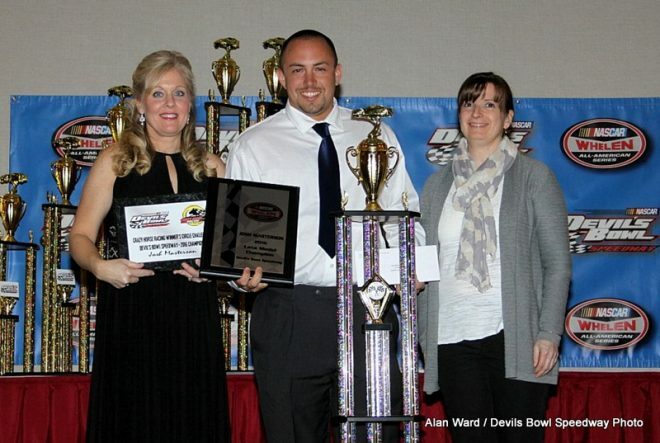 Sportsmanship and Most Improved Driver awards, which were decided by a vote of drivers, were also presented. Sportsmanship awards were given to Tremont, Donnelly, Bussino, and Mini Stock driver Jason Porter, while Most Improved laurels went to Sportsman Modified driver Chad Miller, Sprint Car favorite Lacey Hanson, Renegade veteran Matt Mosher, and Mini Stock runner Derrick Counter. Tribute was also paid to driver Ron Casey of Manchester Center, Vt., who passed away after an accident at the track on July 3. 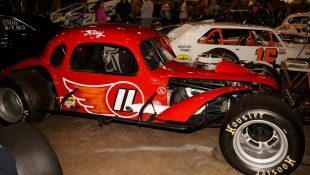 It was announced that a special “Ron Casey Memorial” race will be held on Tuesday, June 13, for drivers who have not won a Sportsman Modified feature; the race will be 20 laps – a nod to Casey’s car number. The attention shifted on Saturday, February 4, to the 1/2-mile Asphalt Track at Devil’s Bowl Speedway. Jason Durgan of Morrisonville, N.Y., collected the first championship of his career in the Bond Auto Parts Sportsman Modified division of the NASCAR Whelen All-American Series. Durgan topped Vince Quenneville Jr. after a tiebreaker, with Proctor third overall. Josh Masterson of Bristol, Vt., was recognized as the first-ever two-time champion of the Central Vermont Motorcycles Late Model division at Devil’s Bowl. Jim McKiernan of Moriah Center, N.Y., collected his first title in the Rosen & Berger Auto Recyclers Renegades, and Eric “Mongo” Messier of Hinesburg, Vt., took the Portland Glass Mini Stock crown. Cory Gray of Rutland, Vt., was awarded his first championship in the Enduro Series, which runs races on both track surfaces at Devil’s Bowl. Rookie of the Year honors went to Chuck Bradford (Sportsman Modified), Austin McKiernan (Renegade), and Messier (Mini Stock), while Sportsmanship awards were presented to Quenneville, Masterson, Renegade racer Scott FitzGerald, and Mini Stock driver Brett Wood. Most Improved awards went to Travis Bruno (Sportsman Modified), Robert Bryant Jr. (Late Model), Matt Monaghan (Renegade), and Brendan “Roo” Forrest (Mini Stock). Several special annual awards were presented during the weekend including the track’s highest honor, the John Bruno Award. The trophy was bestowed upon veteran driver Ron Proctor of Charlton, N.Y., on Saturday night, in recognition of his significant lifetime contributions to racing while maintaining high standards of conduct and respect on and off the track. 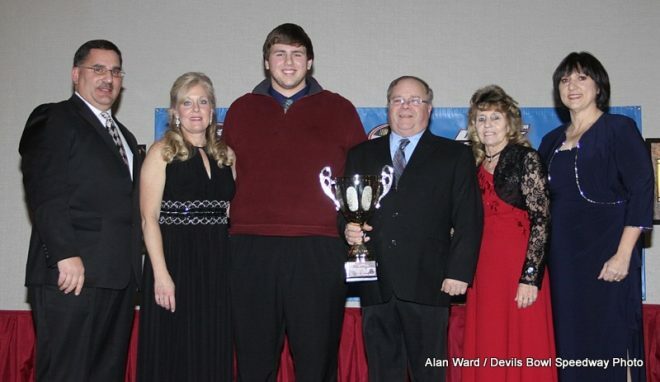 The award came as a surprise to everyone in attendance but especially to Proctor, who was presented the trophy by his car owner, Debbie Eddy, last year’s John Bruno Award recipient. The easy-going Proctor – a two-time Devil’s Bowl Speedway champion with dozens of victories across his 40-year career – received a standing ovation. The annual Award of Excellence and the yearly Dedication Award were also given on each night. Volunteer staff member and safety crew member Rick Murray was honored with the Award of Excellence on Friday night, while Saturday’s award went to sponsors Walter and Lynn Manney of the Sugar & Spice restaurant, creators of the wildly popular “Great North American Pancake Eating Championship” held each year at Devil’s Bowl. Friday night’s Dedication Award was presented to longtime Devil’s Bowl pit road and safety crew fixture David Ward, with Saturday’s honors going to Food & Beverage manager Helen “Chip” Alexander. Quenneville was recognized for winning his second-straight NASCAR Vermont State Championship – just days after a ceremony with Governor Phil Scott, himself a longtime driver, at the Vermont State House in Montpelier – and Jackie Brown Jr. was also applauded for his NASCAR Vermont State Rookie of the Year title. Bonus and contingency awards were presented on behalf of NASCAR, Bond Auto Parts, Central Vermont Motorcycles, Portland Glass, Five Star Race Car Bodies, Shiley Fabrication, Crazy Horse Racing, and American Racer Tires. 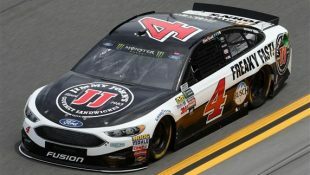 As the top performing driver under the age of 18, Forrest was named the winner of NASCAR’s Youth Achievement Award for both track surfaces; he collected two plaques, two bonuses of $500 cash, and two $500 scholarships to The University of Northwestern Ohio. Devil’s Bowl Speedway’s 51st season of racing will once again feature NASCAR Whelen All-American Series action on the Asphalt Track primarily on Saturday nights and on the Dirt Track primarily on Sunday nights in 2017. 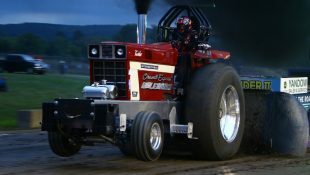 The full schedule is available at the speedway’s official website at www.DevilsBowlSpeedwayVT.com. Devil’s Bowl Speedway is located just 20 minutes from Rutland, Vt., on Route 22A in West Haven, Vt., four miles north of Exit 2 off of U.S. Route 4. For more information, visit www.DevilsBowlSpeedwayVT.com or call (802) 265-3112. Devil’s Bowl Speedway is on Facebook at facebook.com/DevilsBowlSpeedway and on Twitter and Instagram at @DevilsBowlSpeed; follow the action using the #DevilsBowl hashtag. Holiday Inn Rutland-Killington, Rutland, Vt.
· Ron Proctor, Charlton, N.Y.
· Rick Murray, Poultney, Vt.
· Walter & Lynn Manney, Sugar & Spice Restaurant, Mendon, Vt.
· David Ward, Fair Haven, Vt.
· Helen “Chip” Alexander, Whitehall, N.Y.
· Bond Auto Parts Sportsman Modified – Jason Durgan, Morrisonville, N.Y.
· Central Vermont Motorcycles Late Model – Josh Masterson, Bristol, Vt.
· Rosen & Berger Auto Recyclers Renegade – Jim McKiernan, Moriah Center, N.Y.
· Portland Glass Mini Stock – Eric Messier, Hinesburg, Vt.
· Bond Auto Parts Sportsman Modified – Chuck Bradford, Addison, Vt.
· Rosen & Berger Auto Recyclers Renegade – Austin McKiernan, Moriah Center, N.Y.
· Bond Auto Parts Sportsman Modified – Vince Quenneville Jr., Brandon, Vt.
· Rosen & Berger Auto Recyclers Renegade – Scott FitzGerald, West Rutland, Vt.
· Portland Glass Mini Stock – Brett Wood, Georgia, Vt.
· Bond Auto Parts Sportsman Modified – Travis Bruno, Morrisonville, N.Y.
· Central Vermont Motorcycles Late Model – Robert Bryant Jr., Brooklyn, Conn.
· Rosen & Berger Auto Recyclers Renegade – Matt Monaghan, Colchester, Vt.
· Portland Glass Mini Stock – Brendan “Roo” Forrest, West Rutland, Vt.
· Central Vermont Motorcycles Sportsman Modified – Bobby Hackel, Rensselaer, N.Y.
· 360 Sprint Car – Chris Donnelly, Piermont, N.H.
· Rosen & Berger Auto Recyclers Renegade – Bill Duprey, Hydeville, Vt.
· Portland Glass Mini Stock – Mike Ryan, Chelsea, Vt.
· Central Vermont Motorcycles Sportsman Modified – Justin Severance, Pittsford, Vt.
· 360 Sprint Car – Bobby Hackel, Rensselaer, N.Y.
· Rosen & Berger Auto Recyclers Renegade – Josh Bussino, Mount Holly, Vt.
· Portland Glass Mini Stock – Cameron Kennedy, Rochester, Vt.
· Central Vermont Motorcycles Sportsman Modified – Kenny Tremont Jr., West Sand Lake, N.Y.
· Central Vermont Motorcycles Sportsman Modified – Chad Miller, White River Junction, Vt.
· 360 Sprint Car – Lacey Hanson, Orwell, Vt.
· Rosen & Berger Auto Recyclers Renegade – Matt Mosher, Queensbury, N.Y.
· Portland Glass Mini Stock – Derrick Counter, Leicester, Vt.
· Cory Gray, Rutland, Vt.
· Central Vermont Motorcycles Late Model (Asphalt) – Josh Masterson, Bristol, Vt.
· Bond Auto Parts Sportsman Modified (Asphalt) – Chuck Bradford, Addison, Vt.
· Central Vermont Motorcycles Sportsman Modified (Dirt) – Brian Whittemore, Pittsford, Vt.
· Central Vermont Motorcycles Late Model (Asphalt) – Seth Bridge, Mendon, Vt.
· Rosen & Berger Auto Recyclers Renegade (Asphalt) – R.J. Germain, Bristol, Vt.
· Portland Glass Mini Stock (Asphalt) – Brendan “Roo” Forrest, West Rutland, Vt.
· Portland Glass Mini Stock (Dirt) – Brendan “Roo” Forrest, West Rutland, Vt.